Why should you do guest blogging? There are many benefits for doing it. Guest blogging helps your business be more successful by increasing off-site marketing activities and SEO. In this strategy, you publish posts in other people’s blogs. So, it is a part of linking building and content marketing campaigns. 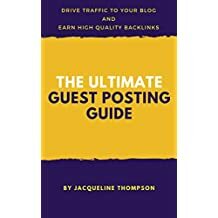 When you guest post, you get many important benefits like quick online exposure to targeted traffic, network expansion, social share stimulation, online authority improvement, increasing the number of backlinks, growing brand awareness, lead generation, increasing sales, improving SEO ranking and many more. However, it is not so easy to do as you might think. If you don’t know well how to do it, it is hard to do. Also note that not all guest posts are created equal and they don’t all yield equal results. You have to go in the right way and you have to choose your targets carefully. 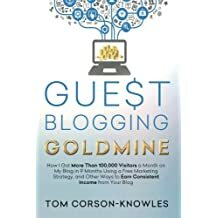 Read the following books for guest blogging and learn from the experts to get your goals quickly. In this book, you’ll learn steps to get 1000s of visitors for your website without spending on advertising. Learn to monetize your website and earn 6-figure income from the advice of successful bloggers and use 11 best free WordPress plugins found in this book to revolutionize your blogging productivity. As a bonus lesson, you’ll also get a 5 Daily Blogging Action Steps. A good start to guest blogging! With guest blogging, you can increase your site’s traffic, search engine rankings and sales for free. Learn how to pitch editors and get your blog posts published on top websites. Build your email list, boost SEO and get guest blogging opportunities with this book. The book will help you build powerful backlinks for your websites. Learn how in this book. This book will teach you how to guest-post and get high quality backlinks. Learn how to find guest blogging opportunities, how to pitch websites for getting the chances of acceptance, secrets of writing amazing content and tips to scale up your guest post process. 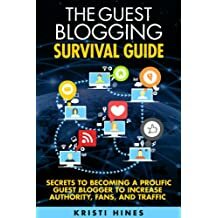 Learn the top blogging secrets from Kristi Hines to increase authority, rankings and traffic. 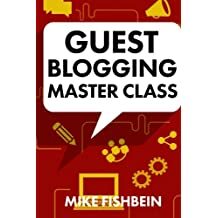 The author teaches you how to find guest blogging opportunities, great topic ideas, write great content, create perfect Author Bio, analyze results and more. Writing for popular blogs is great for fame and money. The book teaches you how to offer a post to any blog successfully. You’ll learn the steps from contacting a blog up to publishing your post in any blog you like. 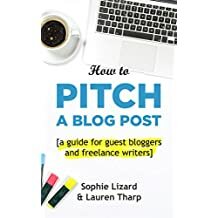 Whether you are an advanced freelance writer or blogger or a complete beginner, this book is yours helping you publish your posts in top blogs of the worlds. Guest blogging is a powerful way to build authority and boost traffic for your money site. 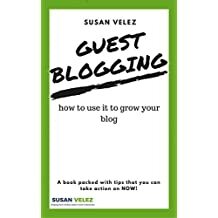 In this book, you’ll learn how to use guest blogging to help your business grows. Learn the techniques to get invited by big authority blogs in the book. Learn blogging tips and passive income generating secrets from this author. The eBook guides you like a checklist to become a successful guest blogger. 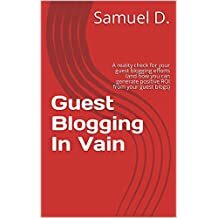 The author explains the missing elements of guest blogging strategies, why you got accepted or rejected your proposals, the reasons of well performed posts and poorly performed posts and tips and tricks of guest blogging in this eBook. If you don’t know well how to do it, it is hard to do. Also note that not all guest posts are created equal and they don’t all yield equal results. You have to go in the right way and you have to choose your targets carefully. Read the books for guest blogging and learn from the experts to get your goals quickly.